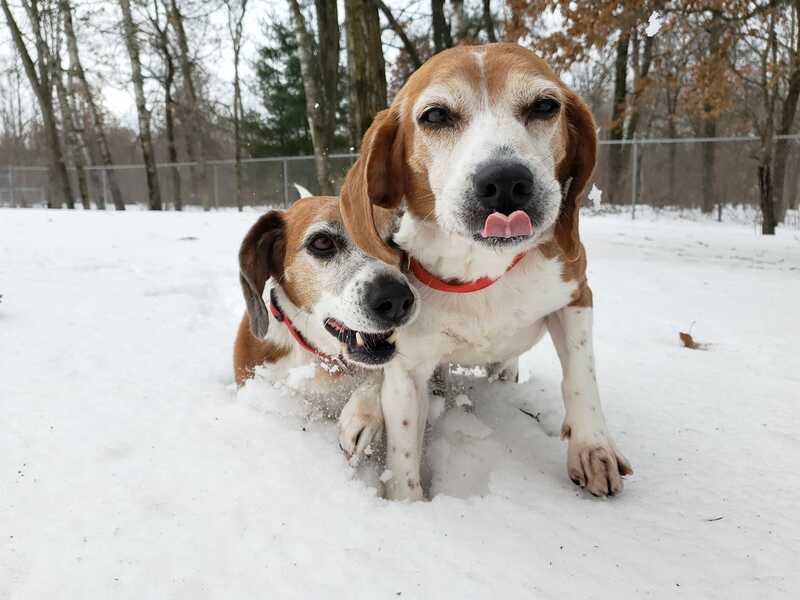 This adorable Mother and Son beagle duo are sure to make you fall head over heels! 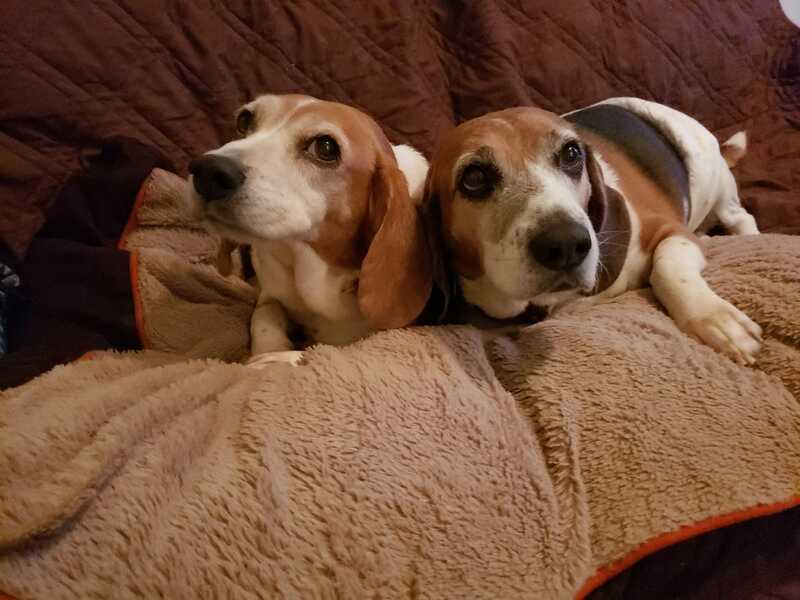 Annie (11) and Chester (10) are the sweetest beagles you could ever meet! They are such a bonded, and affectionate pair that they must stay together. From our medical work on Annie, we found she has Adenocarcinoma in her mammary area. It was removed during surgery, but is likely in her body elsewhere with this type of cancer. Her chest appeared normal in xrays, but did show a little inflammation above her heart. Bloodwork values appeared normal for her kidney and liver, so hopefully she will have some good time left. We just don’t know how long. 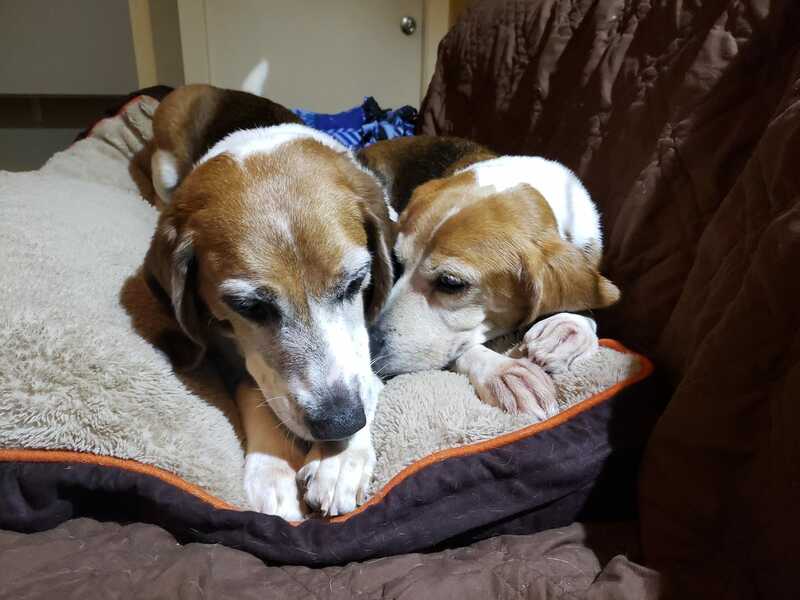 We are hopeful we can find someone who is willing to foster Annie to keep her with her son Chester. 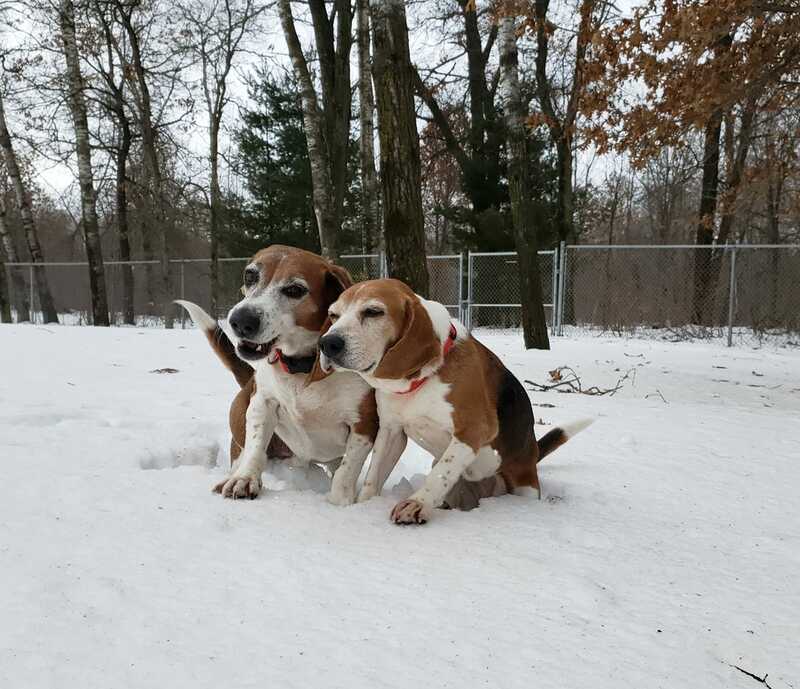 Email Nikki if you’d like an application to meet these amazing beagles! Note: We are having some issues with our application and are working on it.